JM Grana, born on the Spanish Mediterranean Coast, played his first records in the Benidorm of the 80’s. At that time, this town was a sound reference in music, which set up the new trends that the rest of Spain would follow for years to come. The essential qualities of his playing could be described as Elegance, Sensuality, & Feeling. You will enjoy the Nu Disco, Deep, Soulful & House styles during his performances. JM Grana is reknown for his Funky Soulful style. His music takes you on an emotional journey from smooth and sensual to earthy and upbeat. His rhythms penetrate your spirit, putting a vital spark in your step. His music is pure positive energy and is definitely meant to be felt as well as heard. Since 1988 as resident DJ, JM Grana has performed in the most important clubs in his city such as Nabab, Km, Underground, Café del Mar, Moon Beach Club, and Ku Discotheque where prestigious international DJs such as Bob Sinclar, Masters at Work, Roger Sanchez, Erick Morillo, David Morales, Frankie Knuckles, Little Louie Vega, Martin Solveig, Todd Terry, and Antoine Clamaran, to name just a few, have made guest appearances. As guest DJ, JM Grana has also filled dance floors in some of the best venues of the country, namely Spook in Valencia, the Metro Dance Club in Bigastro (Murcia), Privilege (Ibiza), and ZKlub in Alicante, where he has made several guest appearances. Internationally, Norway was one of the most visited countries between 2005 and 2008, where every three months or so, he toured the most important clubs of Bergen, Oslo, Stavanger, Trondheim and Narvik, to name but a few. One of the clubs which has counted on his presence the most was Contra Bar in Bergen, where he has been the floor-filler on numerous occasions, from 2005 until the present, and is one of the places where his Soulful style has been most appreciated and valued, giving him an extremely meaningful connection with this emblematic venue. 2010 was the year in which his career took him across the Atlantic, where he performed in Venice Beach in Los Angeles (California) at the prestigious Air Conditioned Supper Club. In July 2013, he travelled with Musica Divina’s manager, Bru Marsé to one of the most important clubs in the Ukraine, Bono Beach in Odessa. He has also been selected for coveted DJ awards, such as the Lucky Strike DJ Expression award in 2003, and also winning the NLAB award as Best House DJ in 2007. 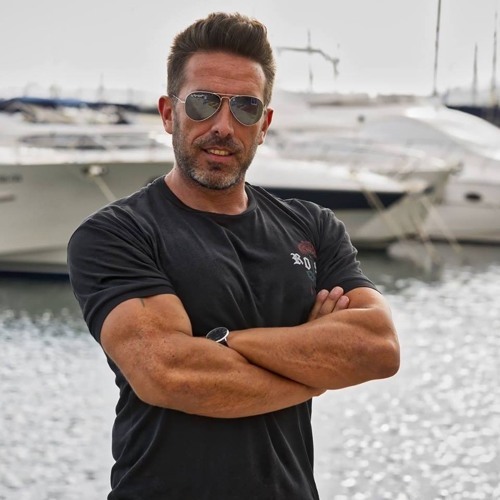 2014 was a year of major change for JM Grana, in February he became resident DJ in Macao Lounge Bar; a stylish bar located in the affluent marina deportiva campomanes area. It was here in March that year that "Sunday Funday" was born. A new concept combining JMGranas individual style of soulful house DJ'ing with some of the best live talents around, including vocalists and musicians, all in a beautiful setting overlooking the port. Some of the artists working alongside JM Grana include Josephine sweet (vocals) Ramon Riera (Saxaphone) and Pakito Baeza (drums) also Diana Tarin,Ilu Perez and Janyssha Lyon, all the artists played a huge part in the success of Sunday Funday, and in June Mediterranean sounds was born. Mediterranean sounds consisted of JM working with Josephine, Ramon and Pakito and the three of them returned to Bergen in Norway together to introduce Sunday Funday to Cafe Contra Bar , and later they returned to work in Madrid and more cities. 2015 was also very important as this was the year JM Grana began to collaborate with various radio stations. These included NYC House Radio (New York) and Soulside Radio Paris. 2015 was the year also when JM Grana was named best DJ alongside other international DJ's including the likes of Louie Vega, Jamie Lewis, David Morales, Grant Nelson, Dimitri from Paris and Frankie Knuckles.